"Isaiah (Canaan) we feel is a good fit right now for what he brings, especially on the defensive end and a guy that last night knocked down shots." He worked out with Bulls teammates before Sunday’s loss, tracking down balls with his left hand and setting them up for shots, his right hand in a cast. Monday at practice, he was back out again, this time without the cast. Could it be? Willis Rondo? And so the biggest game may come down to the littlest men. Willis Reed was the New York Knicks center injured during the 1970 Finals who famously limped out to start Game 7 after expecting to be out for the series. He only scored four points, but the symbolism of his return gave the Knicks the emotional lift to win the title. Can Rondo do that with an appearance back in Chicago in Game 6? Churn the home crowd into a frenzy? Back in Boston in Game 7 if the series gets there? The former Celtics champion back to get his revenge? It seems unlikely. After all, it’s not ideal for a good shooter to have a fractured shooting thumb. But nothing about this Bulls/Celtics first round series has been predictable with neither team winning a home game yet. It’s 2-2 with Game 5 in Boston Wednesday. The concept of adjustments often is overrated in the playoffs. It’s fashionable to discuss, but the energy, force and determination of your team, plus getting some shots to go, makes all the difference. The Bulls starting both home games trailing 14-4 and the fans needing rally towels five minutes in wasn’t ideal. The Bulls appeared to defy the conventional wisdom that the playoffs are a different season. 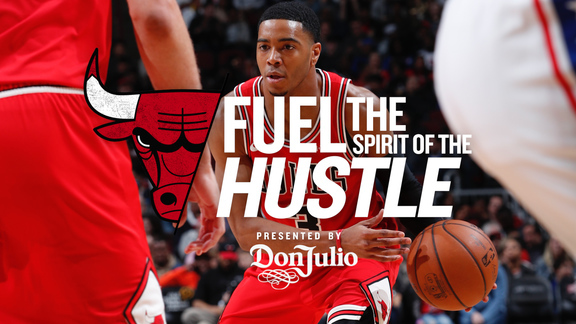 They approached the two United Center games like the third in four nights in Charlotte in January. Boston’s gotten credit for downsizing with Gerald Green. Having someone standing near him might have helped. 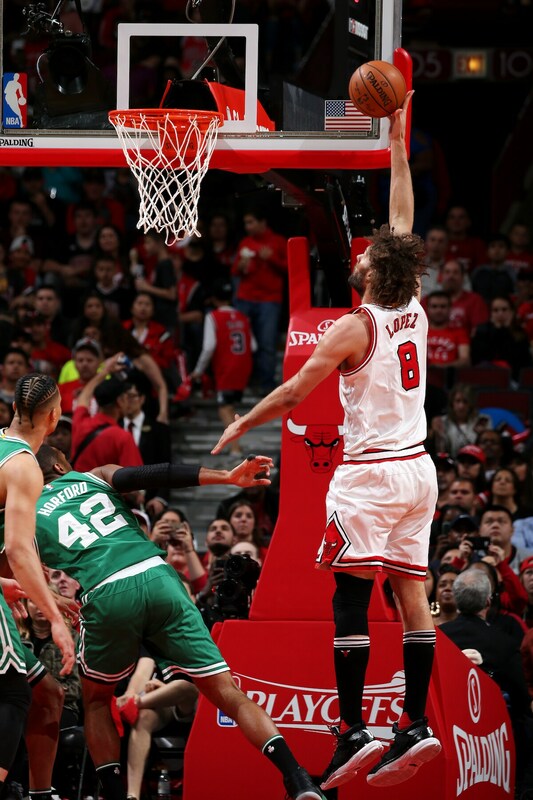 The Bulls appear to have failed to take advantage by allowing Boston to use it as a way to run Robin Lopez out of the game, the Bulls center playing fewer than 22 minutes the last two games. That needs to change. “We do need to do a good job of trying to get Robin going a little bit earlier in the game,” Hoiberg admitted. Though perhaps in encapsulating what the NBA is becoming these days, the Bulls chances may come down to the fortuitous and desperate selection of Canaan as the last resort point guard. Canaan in Game 4 had 13 points and three of seven threes in 34 minutes. He’d played a total of 21 minutes combined since the All-Star break. Uneven play from Jerian Grant and Michael Carter-Williams got both benched. At this point, they may not even get back in. What was so startling was the way Canaan played Celtics’ star Isaiah Thomas. The Bulls talked about doing that before, but no one appeared that interested. The Celtics’ strength coming into the series was no secret. It was Thomas. He averaged 28.9 points per game this season. The second leading scorer was Avery Bradley at 16.3. Thomas’ influence and presence came to transcend the game to start the series with the automobile accident death of his sister. 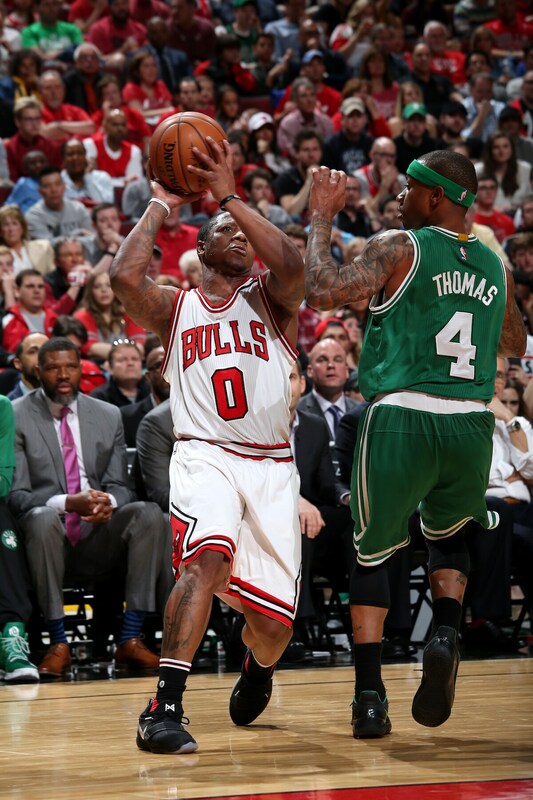 Thomas still performed brilliantly, and he was the difference in Game 4 Sunday after the Bulls took a 65-63 lead after trailing by 20 points. His 10 points and an assist in the ensuing 12-0 Celtics run saved the game and series for Boston. Thomas is averaging 25.5 per game in this series. Al Horford is next high scorer at 14.8. More significantly, Thomas has shot 38 free throws in the four games. No other Celtics player has attempted more than six. He dominates their offense perhaps even more than Russell Westbrook does with the Thunder. Maybe time to make him feel the floor more often since he’s so close to it already? I am not a violent person, but you can’t keep dribbling into two and three guys and prance back happily on defense. Someone should be helping you up occasionally. It’s OK; nothing untoward. Just make him feel you. Maybe get the ball out of his hands a bit more to see if someone else with the Celtics can make a play. Tough to figure with no one even averaging two free throw attempts per game. They did make shots, 51 of 145 on threes in the four games. But that’s just 35 percent. So it may come to the Bulls smallest player to be the tough guy against Thomas. Didn’t see that coming. “My job is to make his job miserable,” said Canaan, optimistically listed at six foot. “He’s a great player and he can find different cracks, but I’m just going out there trying to interrupt their timing, try and milk as much time as I can off the shot clock and just keep him uncomfortable. Not let him get settled in for what they want to run, so I’m just out there to make him uncomfortable and speed him up." It would be nice for the Bulls if after Hoiberg’s analysis, the officials decide that Thomas does violate the rules with an illegal palm. How about trying to get a palm Sunday? “I’m so locked in I’m really not watching his dribble. But everybody behind me is saying he’s carrying so I’m going to go with my team. I’m just out there to try and stop him as best as possible. They let a lot of players get away with things, and I try not to focus too much on that part of the game. I just go out and play." That’s right; make it the gospel of hard work and effort. Make Thomas work harder. He’s going to keep getting shots up because that’s all he does. Make him take more of them to get his points, tire him out so they aren’t as easy in the fourth quarter. It’s a shocking reversal that it has to fall to Canaan, who rarely has played since early December. Though perhaps it’s fitting in this erratic and unpredictable Bulls season that has seen a merry go ‘round of lineup and rotation changes, players going from starting to driving the bus. And Canaan actually looks prepared for the job. After all, Thomas is about the only player in the league he can post up. “He’s supposed to say nobody can guard him,” Canaan said about Thomas’ frequent comments of being unstoppable. “He’s a good player. He’s one of the best point guards in the league and to be one of the best point guards in the league, you’ve got to know how to pick and choose your angles, your shots. With him being so small he finds a way to get it done. As far as him saying he can’t be guarded, that’s what he’s supposed to say." But Canaan can also make Thomas look him in the eye. “We’ve both got a low center of gravity. As quick as he can move, I can move just as quick as him. And I’m just as strong. So it works in my advantage just knowing we play the same position. I just try and estimate what move he’s going to do and just try and beat him to the spots, make every shot tough." Perhaps the Bulls finally have found the little big man to challenge the league’s best big little man.